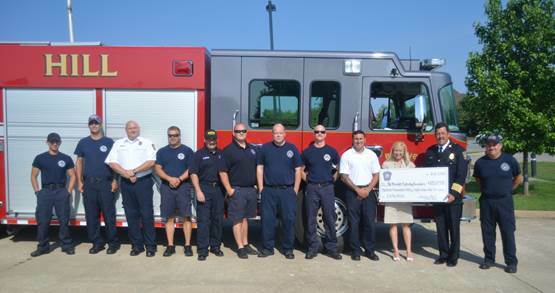 During the 2015 Fill the Boot fundraising campaign, 38 members of the Spring Hill Fire Department and the Local 4628 fire union raised $13,098, rallying behind a 60-year tradition supporting the Muscular Dystrophy Association. They collected money every Saturday in May to help save and improve the lives of people fighting muscle disease in the Central Tennessee area. Muscular dystrophy, amyotrophic lateral sclerosis (ALS) and other related life-threatening diseases take away people’s ability to walk, move, smile, talk and even breathe. ⇐Previous Carmike Cinemas 12 theater opens for business in Spring Hill with 3 big eventsNext⇒ Spring Hill named among "10 Best Nashville Suburbs to Live In."